Nautilus X Frame Fly Reel winner of the 2015 IFTD/AFFTA Fly Reel Best Of Show in both fresh and saltwater fly reels. The X Frame has a new modern sleek open framed, light weight design with the Nautilus sealed teflon SCF-X disc drag technology with fast line pick up. 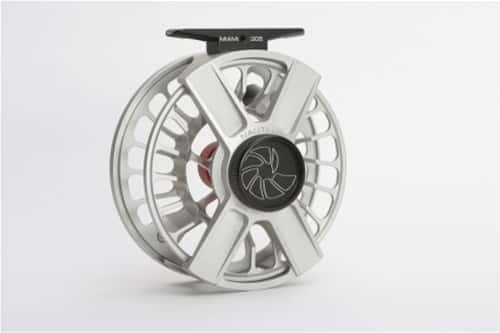 The X Frame design of the fly reel has strong beams that protects the reel and rim where it contacts the ground when it is leaning against a buildiing or boat. The highly ported open x frame and spool is easily palmed from both the exposed rims and back of the reel increasing it's overall strength. The X Frame comes with the new Nautilus SCF-X sealed drag Teflon and carbon fibor disc drag system. It is adjusted with a large drag knob that offers superior gripping surface and texture for wet. and cold fingers. The highly ventilated arch design coupled with the dual palming rim increases spool strength by 35%. The sides of the frame leave the spool totally exposed, and the back of the spool rim has a generous 1/8" secondary palming rim for added fish control. This heavy duty secondary palming rim has the strength to withstand everyday wear and tear. 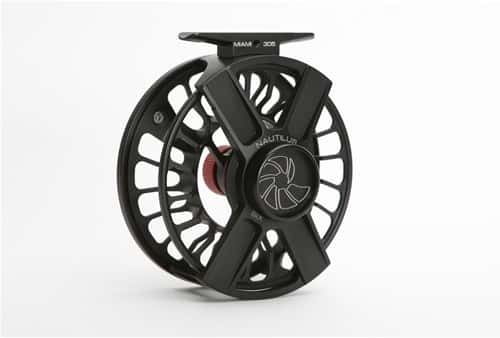 The spool comes with the new Nautilus ultra light, award winning Giga arbor frame design. It is lighter than any spool of a similar size we have ever made. Available in three sizes XS= 3.25" Diameter; XM = 3.5" Diameter and XL = 4" Diameter. Available in brushed titanium or black anodizing. Custom colors available by call the Platte River Fly Shop at 307-237-5997. Seventh generation metal mechanics manufacturers that have been in the fishing industry for all seven generations, Nautilus Fly Reels emerges from 6x grandchildren of Ole Mustad, founder of O. Mustad & Søn -- a metal mechanics company founded in 1832 in Norway. Family albums are filled with fishing pictures from remote Norwegian rivers as well as photos of engineering and manufacturing contraptions such as fish hooks, horseshoe nails, thumb tacks, screws, railway bolts, and automobiles. 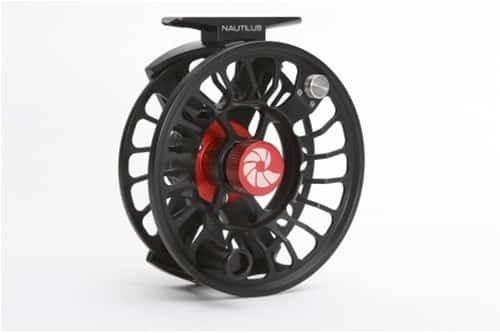 The current seventh generation of Nautilus Mustads continue the tradition of delivering reels that are undoubtedly the leading brand in fly fishing reels. 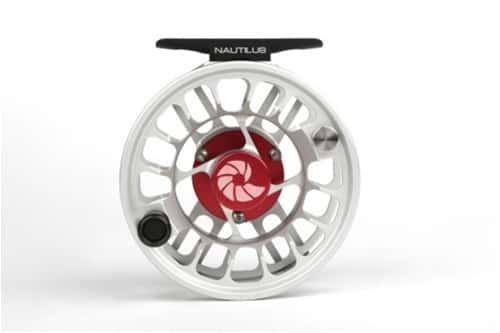 Nautilus’ obsession with reel technology has delivered a line-up of reels that have granted them many awards as well as bestowed upon them equally obsessed anglers who are devoted to Nautilus quality. While this is a stunning reel as far as cosmetics and weight are concerned, I have found that the gap between the spool and the frame is just large enough for tippet and leader to get caught in-between. That being said, the drag is smooth and the tension knob is large enough to fit well in your hand and adjust, but still look sleek on the reel.